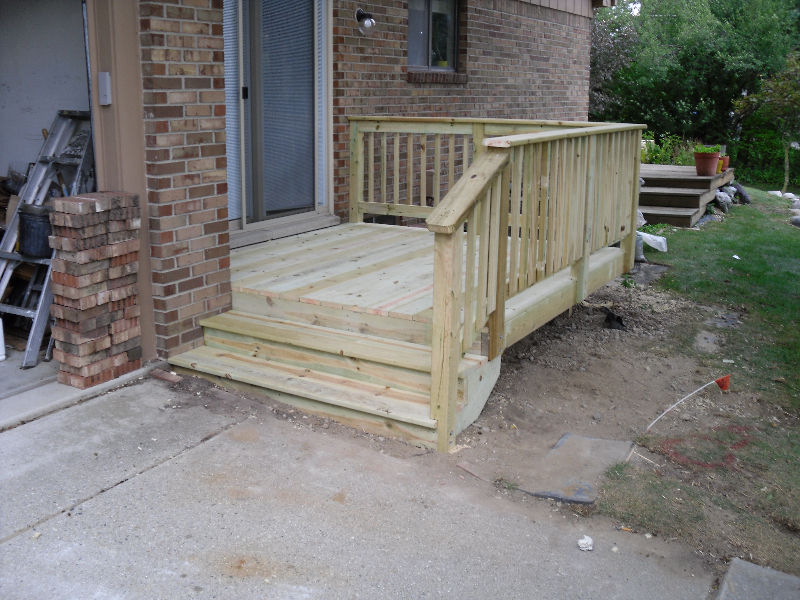 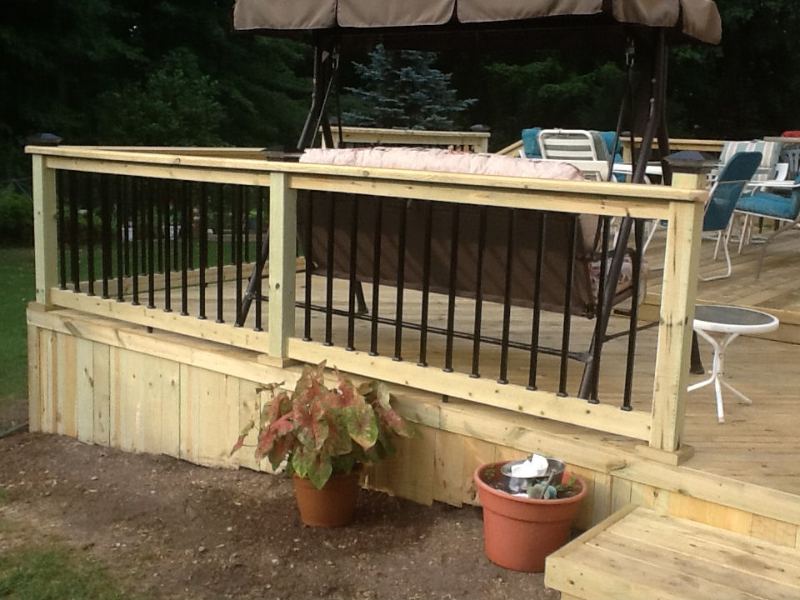 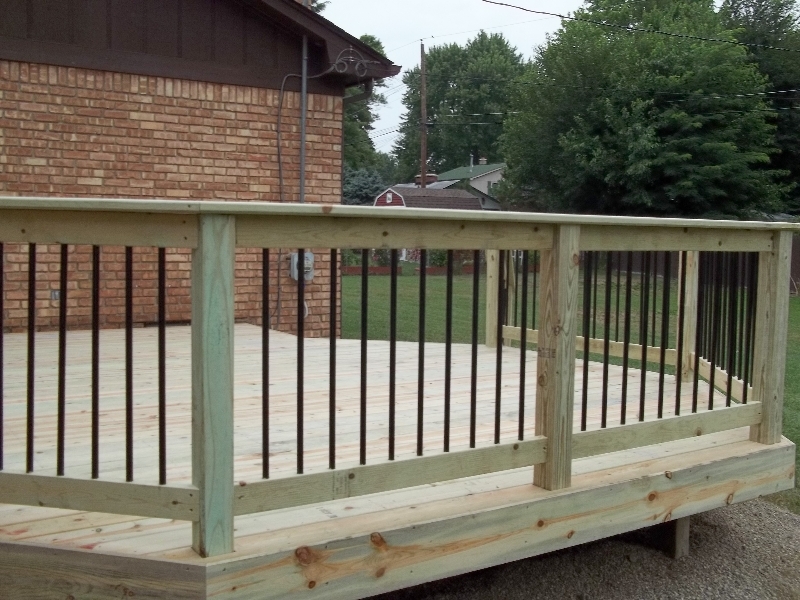 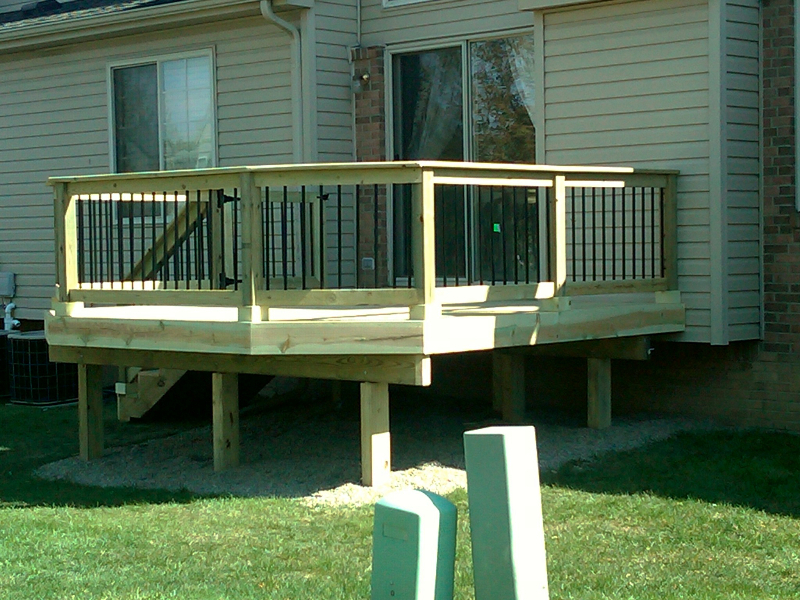 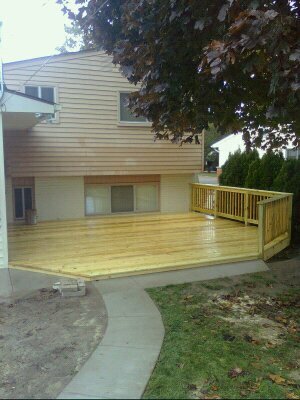 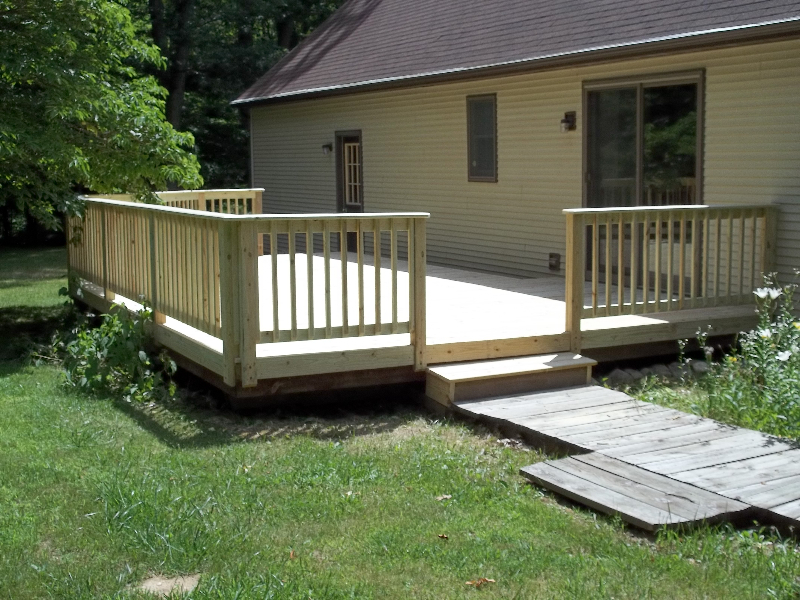 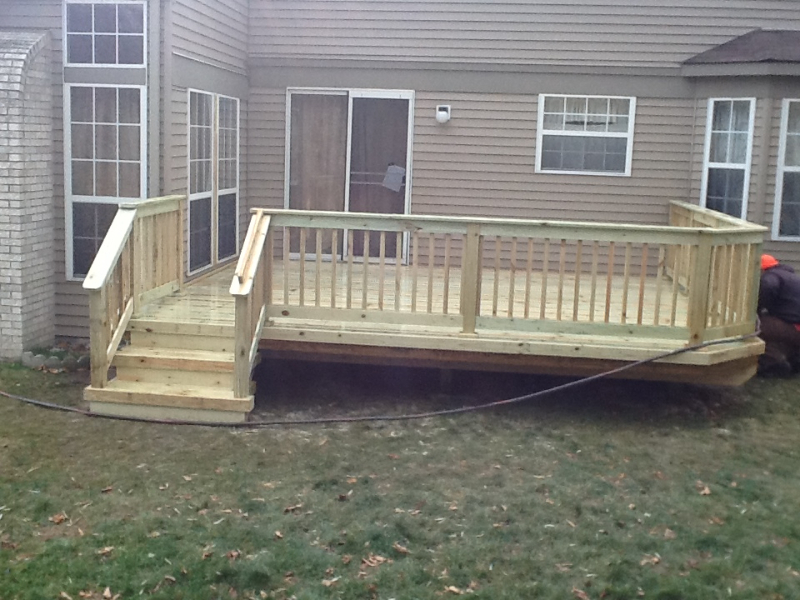 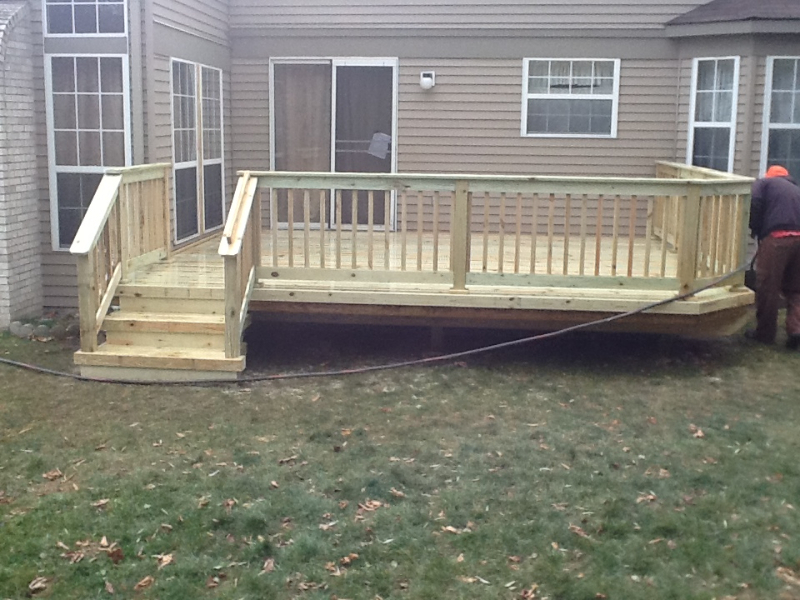 Pressure Treated or Wolmanized decks give you the best bang for your buck. 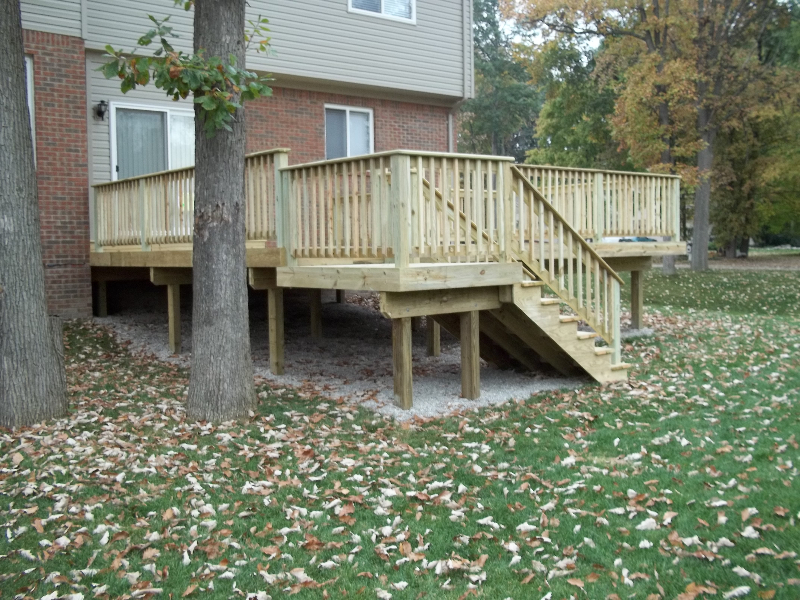 Homeowners that are not looking to spend a lot for a deck like starter homes or rental properties typically go with treated decks. 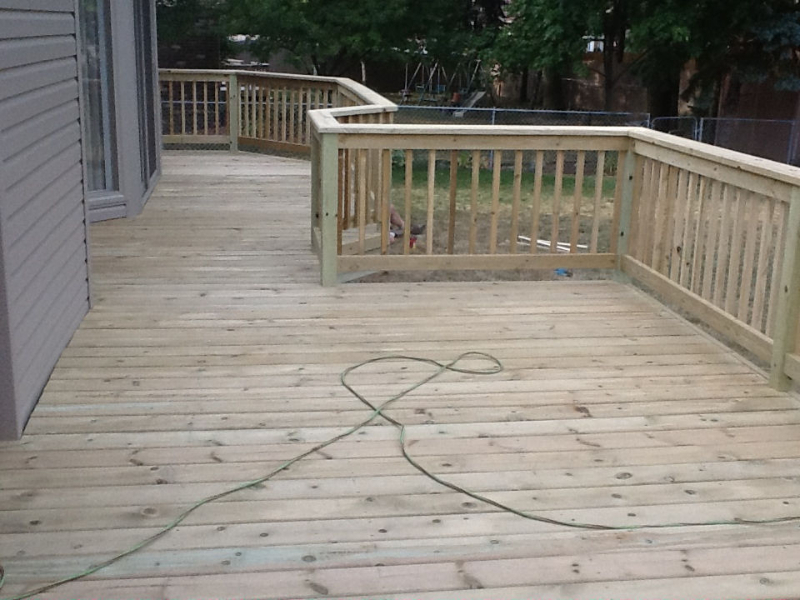 Treated lumber will not rot like cedar, so it is a great choice for deck floors on the ground. 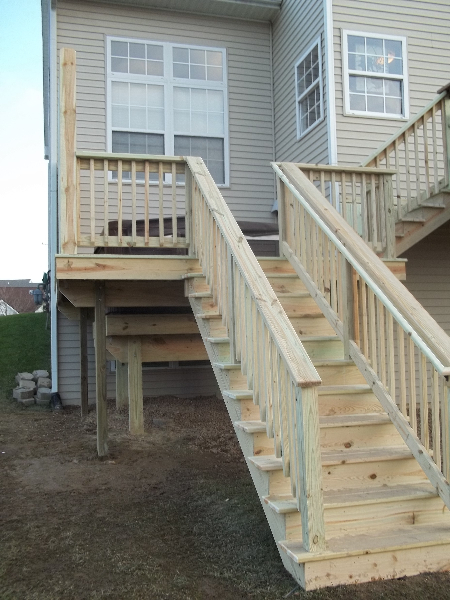 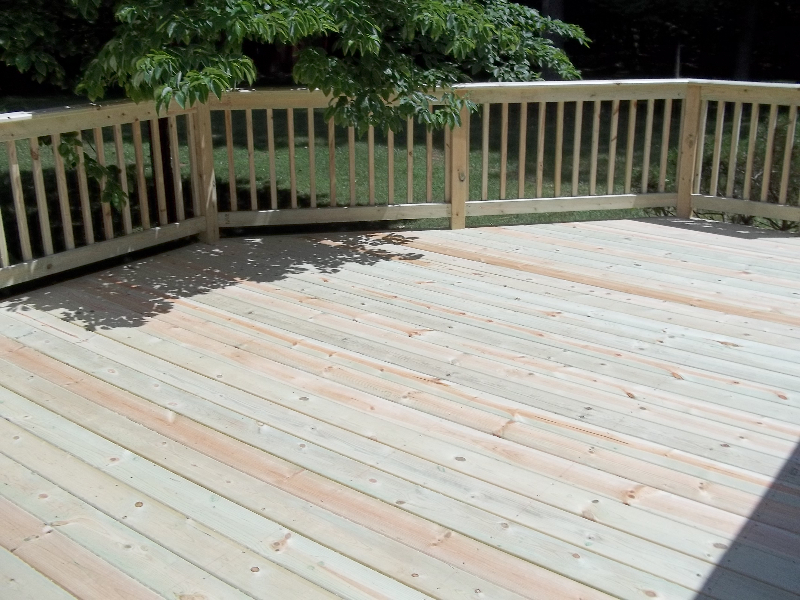 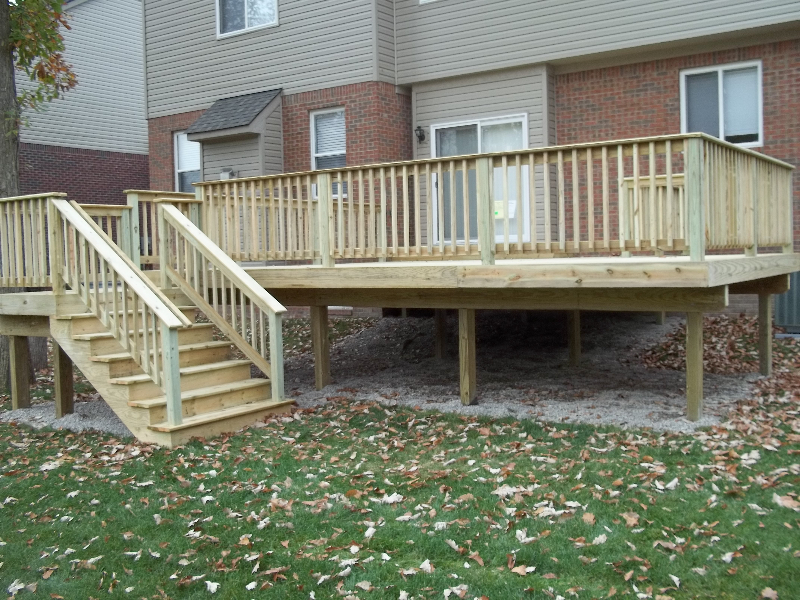 Advantages of treated decks are the durability of the lumber, easy to install, natural wood look, and are inexpensive compared to other materials. 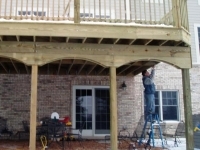 The largest disadvantage of pressure treated decks is that the lumber tends to shrink, and the 4×4 posts split when they dry out. 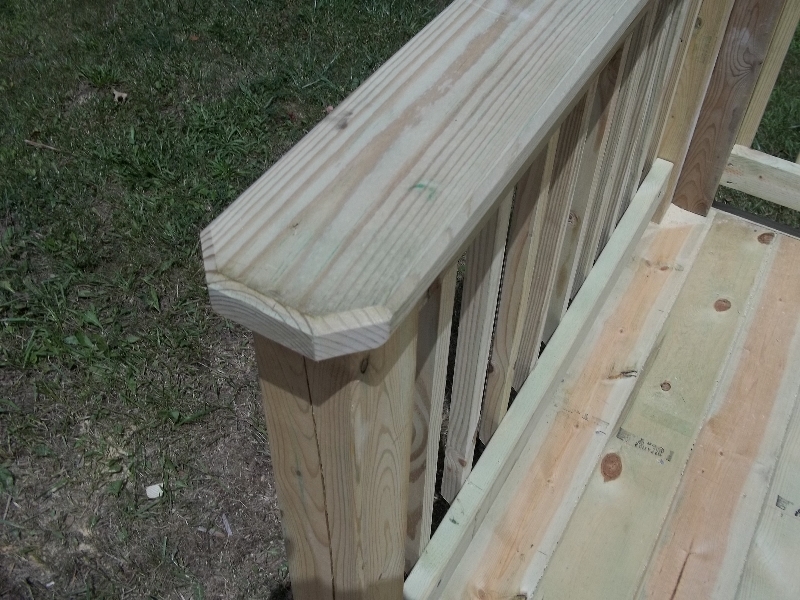 Meaning the miters will typically pull apart and the floor boards will also shrink. 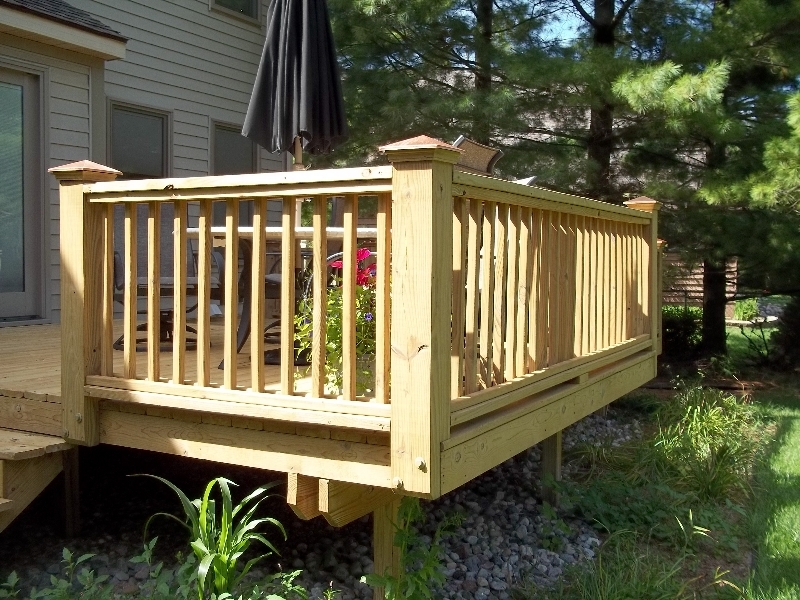 No contractor can warranty this because it is a natural characteristic of the wood. 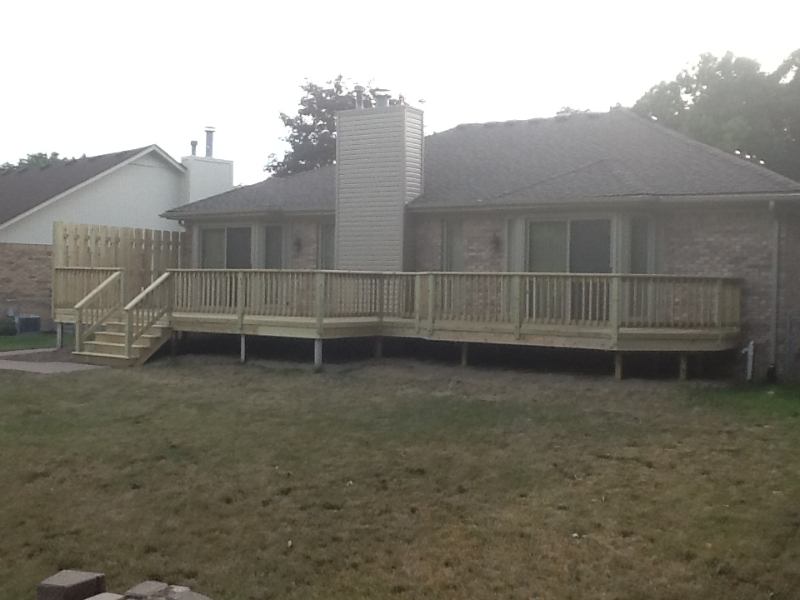 We can come back at a later date to replace any boards that you would like to have replaced at a nominal fee.